CEBU, Philippines – Land Transportation Franchising and Regulatory Board (LTFRB) Central Visayas has decided to strictly implement the ‘No Standing Policy’ in buses that go beyond 15km from the city. But because of the shortage of buses and the fact that ‘standing’ has long been practiced, especially during rush hours and peak season, a lot of passengers continue to beg drivers and conductors to let them ride, anyway. Not only is this dangerous due to possibility of overloading, the bus operators might also get caught and made to pay a fine of Php5,000 for the first offense. 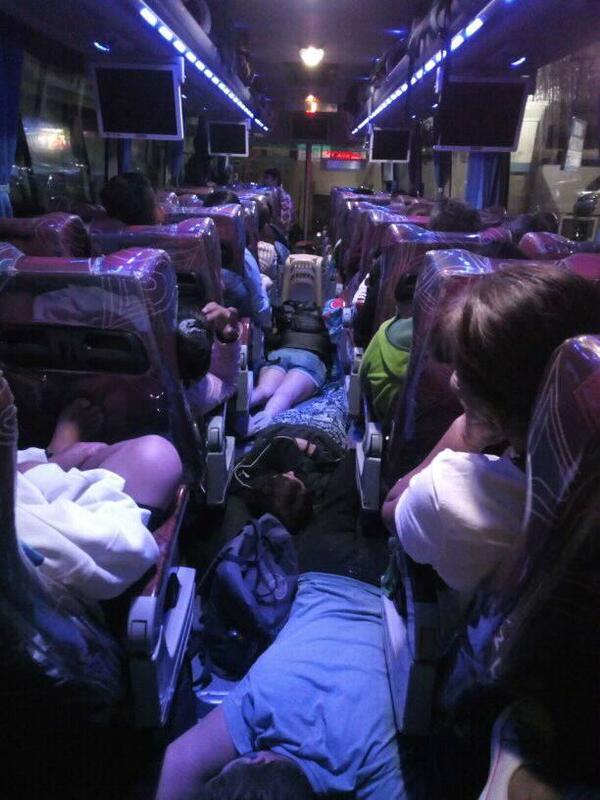 Recently, a photo of passengers sleeping on the floor of a bus headed for Bantayan Island made waves on social media. 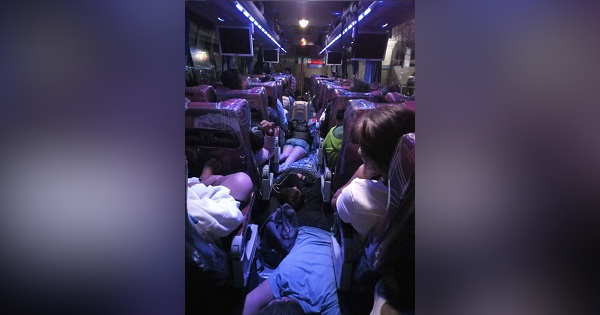 Lyndon Placencia shared the photo on his social media account, with the caption implying that the sleeping passengers were trying to outsmart the LTFRB’s “No Standing Policy” by lying down on the aisle. “BAWAL ANG MAG BAROG SULOD SA BUS … DI MUHIGDA NALANG … Kagabie while niuli ko padulong sa amoa,” the post read. The photo quickly went viral, earning mixed reactions from netizens. It would also quickly reach the LTFRB. “We saw the post, and we immediately conducted an investigation. And we found out that there was no violation of the No Overloading Policy,” announced LTFRB-7 regional director Eduardo Montealto Jr. 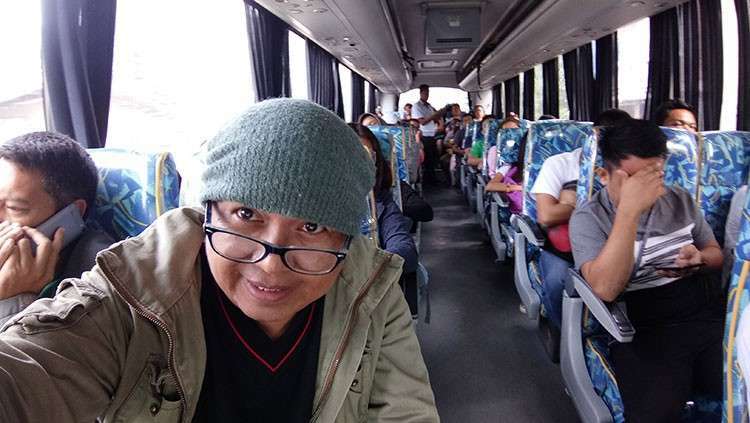 According to Montealto, they immediately called on the bus representatives and some passengers to conduct the investigation regarding the alleged ‘overloaded’ bus to Bantayan Island, northern Cebu. “We found out that when the photo was taken, the bus was not moving actually. It was already on standby in Hagnaya Port in San Remigio, and was waiting for the ferry to dock to take it to Bantayan Island,” Montealto said. But though this bus operator in this viral photo managed to win this round, many operators are calling for the LTFRB-7 to stop strictly implementing the policy and to provide an alternative option. “We opposed this decision made by the LTFRB because it seems that they have not reconsidered other options on cracking down overloading PUVs (public utility vehicles),” said Julieto Flores, the President of the Cebu Provincial Bus and Mini-Bus Operators Cooperative (CPBMBOC). The group hopes that it won’t be penalized for accepting ‘standing’ passengers. After all, they are also helping these passengers get to their destination. Moreover, not accommodating these standing passengers could also affect their income. “Of course, our income will be greatly affected. We can only earn a few from standing passengers compared to those who are seated but with the continuing increase of oil prices, it really does affect our income,” Flores added. As of press time, the LTFRB-7 continues to impose the policy and the bus operators need to comply or face hefty fines and the possibility of getting their franchise suspended for repeat offenders. It is important to note that though the “No Overloading” policy is supposed to be implemented in all buses across the Philippines, only the LTFRB-7 is currently strictly implementing the “No Standing Policy” for buses that go beyond 15km from their starting point.